Marshall Pruett previews the Indianapolis 500, plus all the latest motorsport news. 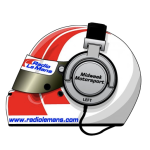 Marshall Pruett previews the Indy 500, Tim reviews the weekend's .. Hour 1 [embed]http://audio.mpix.org.uk/mwm2006/mwm31-1.mp3[/embed] Hour 2 [embed]http://audio.mpix.org.uk/mwm2006/mwm31-2.mp3[/embed] John Hindhaugh and the team discuss the Indy .. Hour 1 [embed]http://audio.mpix.org.uk/mwm2006/mwm34-1.mp3[/embed] Hour 2 [embed]http://audio.mpix.org.uk/mwm2006/mwm34-2.mp3[/embed] John Hindhaugh talks to Alex Lloyd about his ..